CARFAX 1-Owner, GREAT MILES 15,758! FUEL EFFICIENT 38 MPG Hwy/26 MPG City! SONIC SILVER METALLIC exterior and BLACK interior, Mazda6 i Sport trim. Bluetooth, CD Player, Keyless Start, Aluminum Wheels, Back-Up Camera, iPod/MP3 Input. CLICK NOW! Back-Up Camera, iPod/MP3 Input, Bluetooth, CD Player, Aluminum Wheels, Keyless Start. MP3 Player, Keyless Entry, Remote Trunk Release, Steering Wheel Controls, Child Safety Locks. Mazda Mazda6 i Sport with SONIC SILVER METALLIC exterior and BLACK interior features a 4 Cylinder Engine with 184 HP at 5700 RPM*. 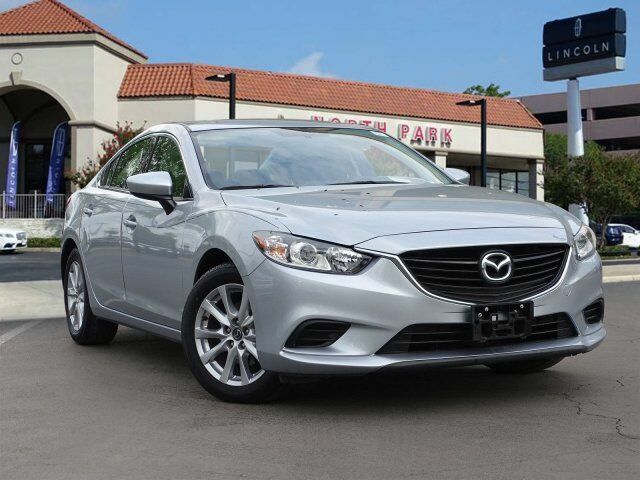 Edmunds.com explains With its roomy cabin, agile handling and impressive fuel economy, the 2016 Mazda 6 is a fine choice for a midsize sedan, especially if you want one with some personality.. Great Gas Mileage: 38 MPG Hwy.